Syntronik is a dream library recreating the sonic signature of the most sought-after classic analog synthesizers and string machines ever created, all deeply multi-sampled and chosen for their unique feel and magical tone, ready to play on your iPhone® or iPad®. 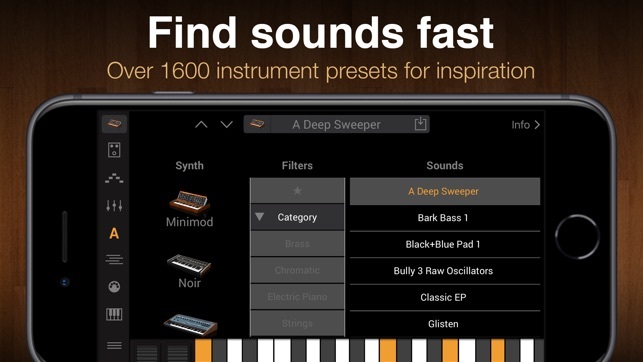 Get started with 50 instrument presets using sounds from 17 different synthesizers. 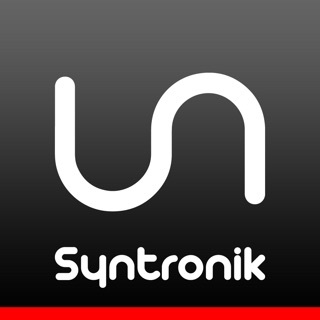 Syntronik gives you access to all features immediately, so you can shape and edit these sounds in a range of innovative ways. 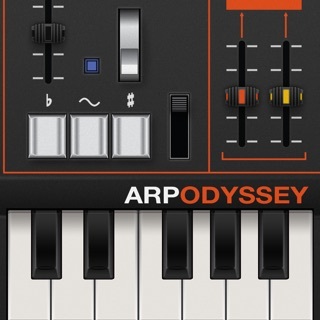 • Includes 50 instrument presets using sounds from 17 virtual synthesizers. Syntronik is a great app, that gives you many classic synths... but has two flaws that have pressured me to give this two stars instead of three. 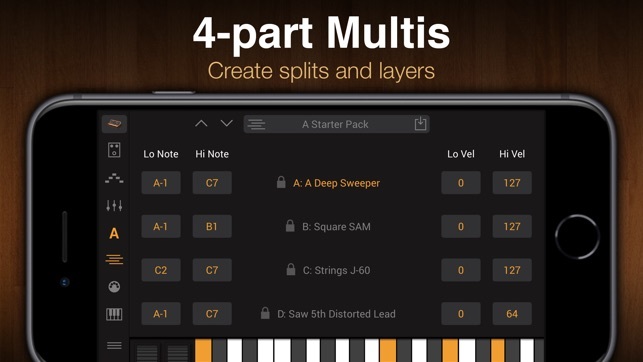 First off- you pay nine bucks for the app, and only get two to four sounds for each synth, then you must pay $70 for all the full synth sounds. This is just a cartoonishly stupid price for an in app purchase, i mean, that’s why this app isn’t getting nearly enough downloads and attention! Another reason is... I’ll put it bluntly; the keyboard is the most inconvenient ever! 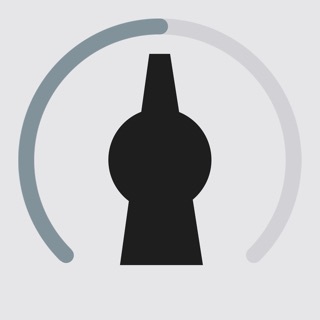 It spazzes out sometimes when you play at certain tempos, and with the new update, you have to press extremely hard on some of the keys; if at all! Maybe it’s because I’m using an iPhone instead of an Ipad, but this is still unacceptable keyboard quality! This app would be a beyond great resource if these flaws were fixed. Not bad and a trip through music history. 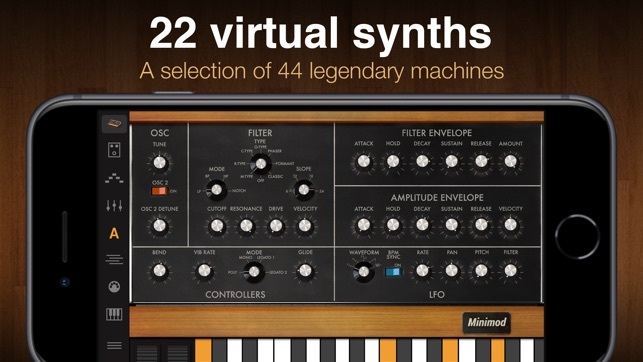 I'll start off by saying that if you're a sound designer who likes to dig in depth into classic synths then you might want to look into other versions of those classics listed here. This isn't really a modeling app. There are no oscillators, just samples that can be tuned. 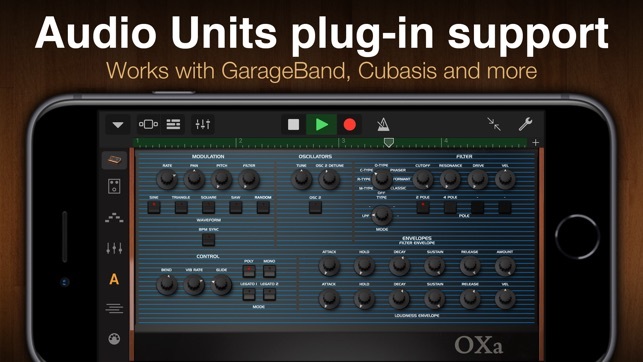 But, if you're looking for the amazing sounds that those classic synthesizers put out with plenty, albeit limited, tweakability then you'll really enjoy these synths. They have done a great job of capturing their sounds at IK Multimedia. 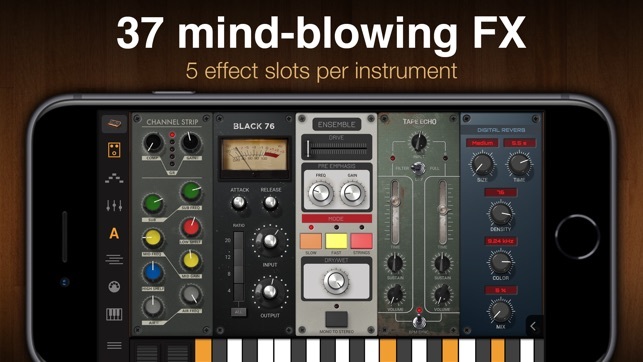 The tweaking options include filters, an LFO section and a couple of envelopes, one for the filter and one for the amplitude. Enough to have plenty of fun. I like to dig into synthesizers once in a while but this gives me plenty of classic sounds with enough customization that I can use them in my own music, to express what I want to express. The midi options are there as far as I need them. It appears to be fairly robust in those options. In the interest of full disclosure, I won the full upgrade in a drawing that was held by a loop review website that wasn't related to IK Multimedia. I don't feel my review has any bias as a result but it's fair for you to know.